BALFOR "Serpents Of The Black Sun"
BEASTÖ BLANCÖ, the band comprised of Chuck Garric (longtime ALICE COOPER bassist) on guitars and vocals, Calico Cooper (Alice‘s daughter) on vocals, Brother Latham on guitar, Jan LeGrow on bass and Sean Sellers on drums, will release its third studio album, “We Are”, on May 24 via Rat Pak Records. The follow-up to 2016’s self-titled sophomore release was produced by Ryan Greene and is available for pre-order in various bundle configurations, including vinyl, cassette and hand-autographed CDs. Influenced by bands such as WHITE ZOMBIE and MOTÖRHEAD, BEASTÖ BLANCÖ‘s music is a potent mix of heavy riffs, driving bass and melodic choruses. From the album opener “The Seeker” to the closer “I See You In It”, it is clear that BEASTÖ BLANCÖ wear its influences on their sleeve. Tracks like “Solitary Rave”, “Perception Of Me” and “We Got This” showcase that vocal interplay between Garric and Cooper, something that separates BEASTÖ BLANCÖ from these influences. A bonus version CD and digital downloads will feature a bonus track “Halcyon”. A video for the first single “The Seeker” will be released later this month. 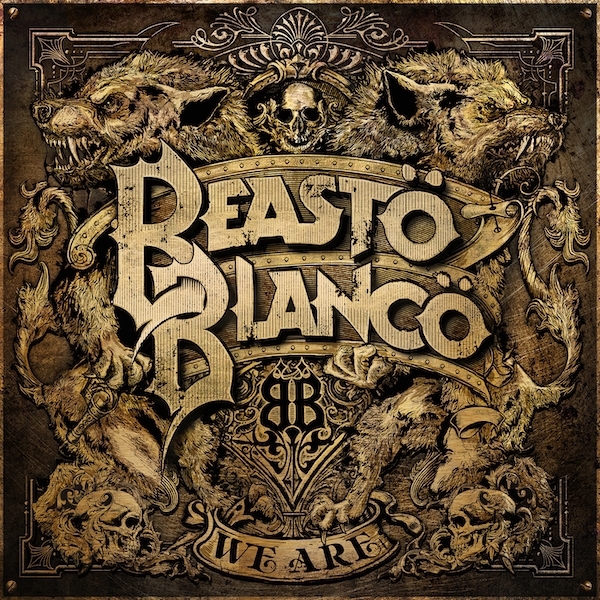 BEASTÖ BLANCÖ will tour the U.S and Canada in support of “We Are”, opening for HALESTORM and PALAYE ROYALE. The tour begins April 18 at the Verizon Center in Mankato, Minnesota and takes the band through spring, with additional headlining shows, as well as an appearance at this year’s Rocklahoma.